Get rid of that brick in your back pocket. 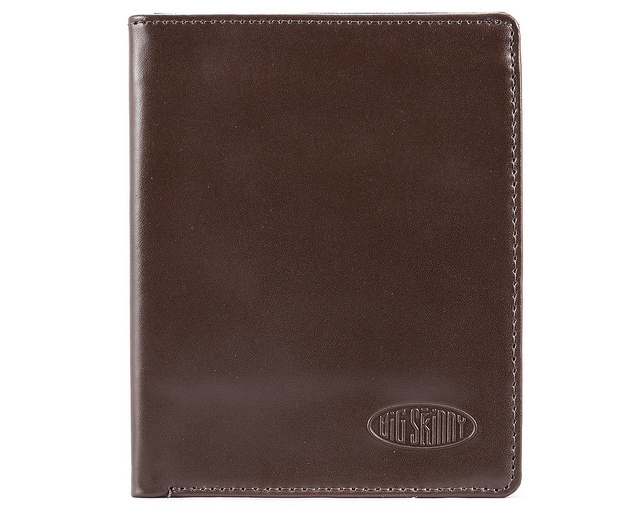 Trade it for our sleek leather Hipster wallet from Big Skinny that is five times lighter than an old-fashioned bulky wallet, but holds lots more. 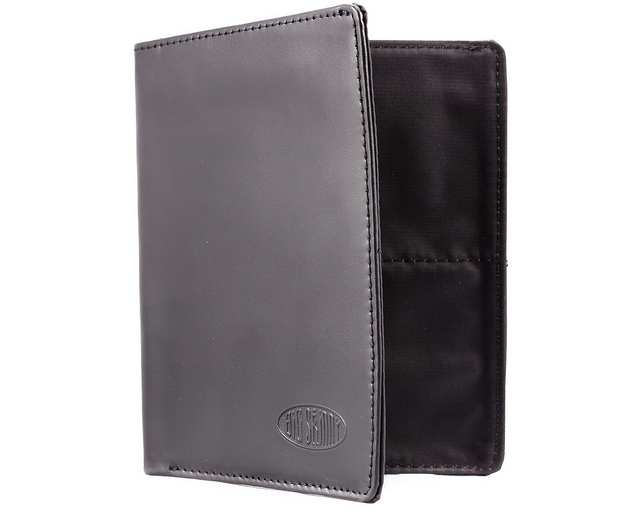 Our Hipster leather wallet for men and women has a premium leather exterior and durable, super lightweight nylon microfiber interior. 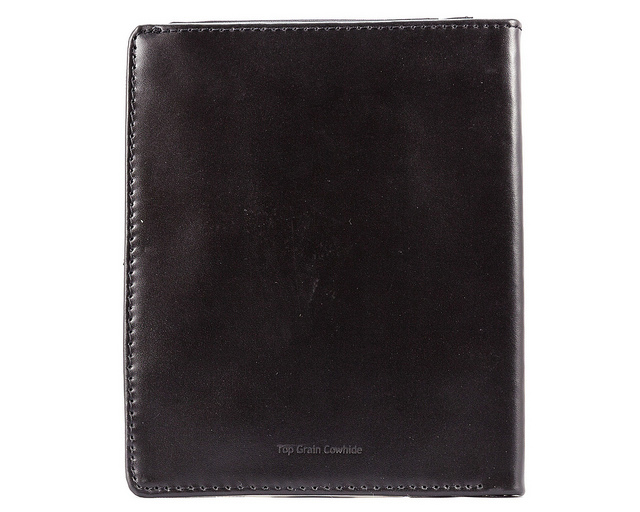 This is the perfect billfold for guys and gals who like to overstuff their wallets. That's because we've provided lots of strategically placed inside-pockets to divide and conquer your stuff. 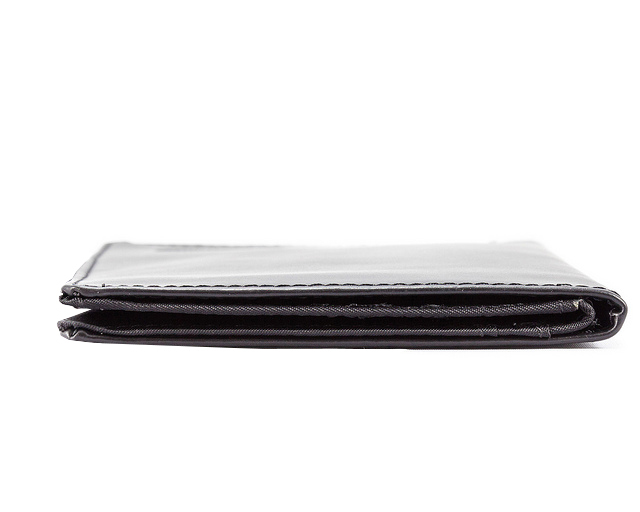 Three deep card pockets allow you plenty of room to divide up your credit cards. 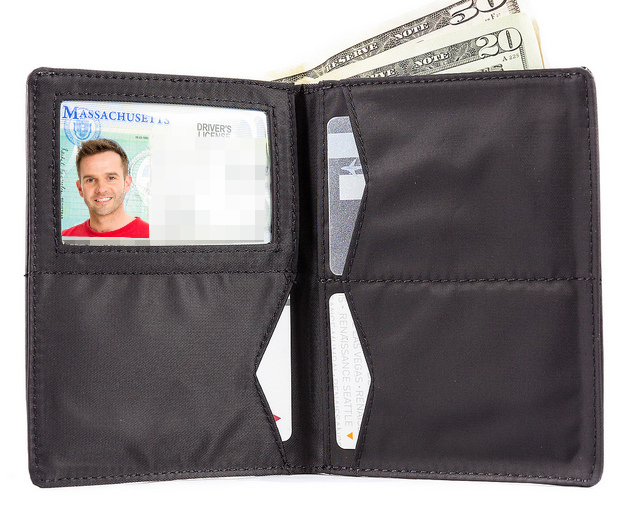 A clear extra-large ID pocket holds your ID card and more plastic. A large hidden pocket inside the Hipster will hold more stuff. 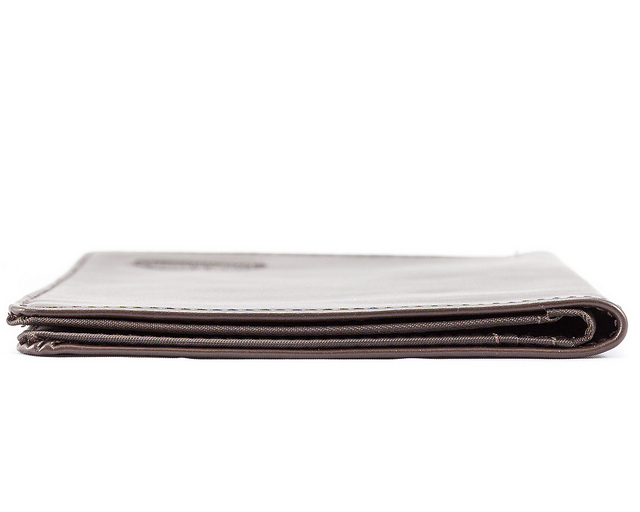 The Hipster billfold is 4 3/8 inches by 5 3/8 inches in size. We guarantee your satisfaction with any of our world's skinniest wallets. Order a Big Skinny gift card for best friends and clients. Like it said, it holds all my stuff and is a very slim profile. Very well pleased with the quality. 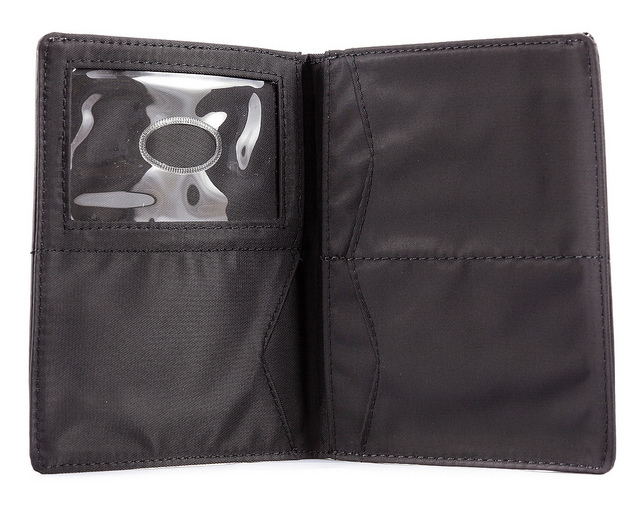 Holds all my credit cards without sitting on a lump. I bought my husband his third hipster for Christmas, though I see that the one he has is still in pretty good shape. I may have to wait until his birthday or next Christmas to give him the new one. His second one has lasted quite awhile. He will always use this wallet because he has lower back problems. 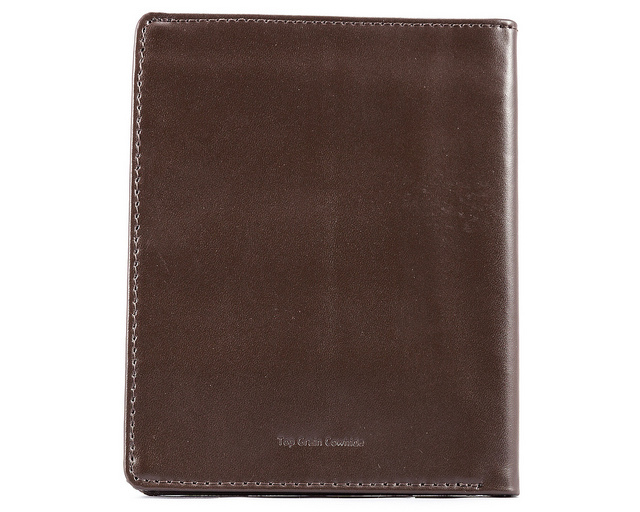 A 'regular' wallet threw his back out, so I know he is very happy with this one. Shipping was super fast and they even refunded my shipping (Black Friday special) without me asking. That�€™s great customer service. ProsMaterials Craftsmanship Fits everything you need Skinny! I LOVE THIS WALLET, IT IS THE 3RD ONE I HAVE PURCHASED. IT IS TRULY SKINNY WITH MY FILING CABINET INSIDE. Great. Thinner than any I have had. I like the layout. I am aged 75 and of reasonable mind. 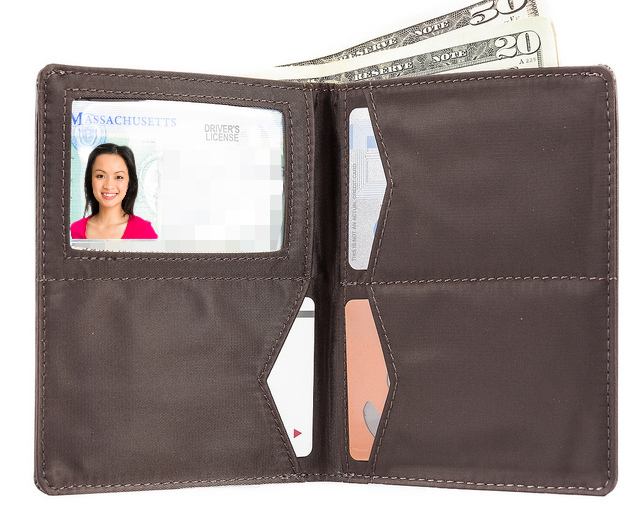 This is a great wallet. 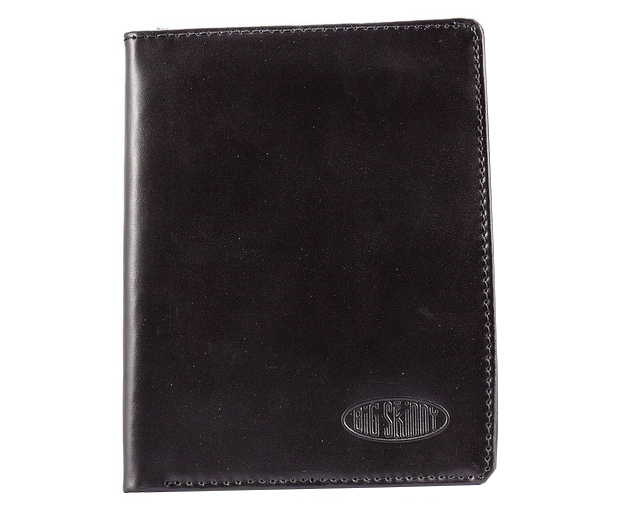 Holds all my credit & debit cards, business cards and even has a divider to separate large and small bills. 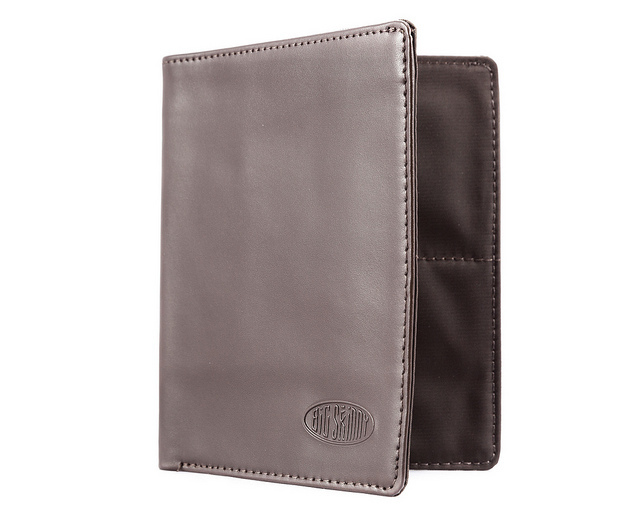 It is the same size as the wallets I have been carrying for years but is only 1/3 the thickness. Easy to get in and out of pockets. Carry in any pocket even a front pocket . Looks great too!